Your child may need extra support. If your child has any psychological problems, we have experience working with psychologists, psychiatrists, and therapists on juvenile cases. If your child has a drug problem we can also work with you to get you the help you need. The proper representation of a juvenile requires a complex multi-disciplinary approach that only a trained expert knows how to properly handle. Attorney Jim Sullivan is a Board Certified Houston Juvenile Defense Attorney and is a recognized expert in the highly specialized area of Juvenile Law. 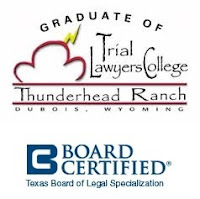 Does your child have the proper representation of a Board Certified Houston Juvenile Attorney? If he or she does not, call Jim Sullivan at 281-546-6428. He will fight to keep your child's record clean.